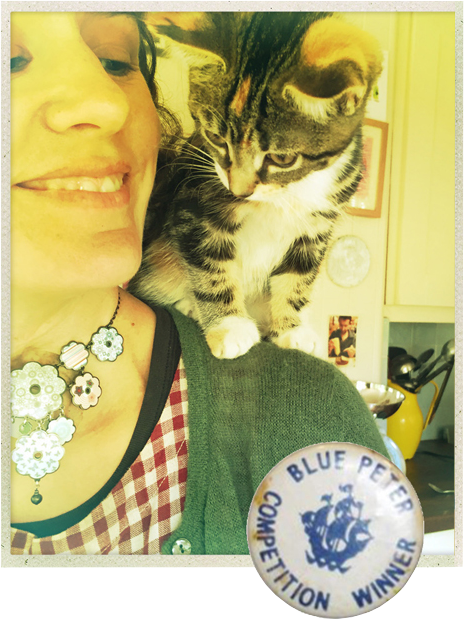 I've always loved playing with words and pictures and, aged about ten, won this badge for my Christmas stamps design. Following a degree in English and Art, I spent ten years as a TV producer, making shows about subjects ranging from problem pets to priceless Picassos. After my children were born I decided to follow my dream of becoming an author and illustrator of children's books and signed up for the wonderful MA in Children's Book Illustration at Cambridge School of Art. I graduated with distinction in February 2016 and in May that year was highly commended in the Macmillan Prize. My third book with Macmillan Children’s Books, Terry and the Brilliant Book, will be out in February 2019. The Strongest Mum and Vera Jewel is Late for School are in the shops now!